Localized vulnerability assessments are critical to effective climate adaptation. However, the differences between how local decision-makers and experts see vulnerability have not yet been fully explored, especially in the United States. Seeing possible distinctions between these approaches is critical since it is necessary to ensure a comprehensive, accountable approach. This research explores the distinct approach of local stakeholders to conceptualizing climate vulnerability in six American cities. Sixty-five interviews of cross-sectoral local stakeholders were conducted in: Boston (MA), Los Angeles (CA), Portland (OR), Raleigh (NC), and Tampa (FL). 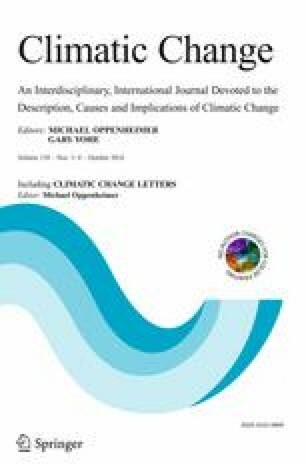 Findings demonstrate that conceptualizations of vulnerability are affected by intellectual frameworks that tend to orient around infrastructure and human health; that retrospective and prospective thinking are inter-related and affect one another; and that institutionalized forms and biases are critical. These factors shape the way that vulnerability is conceived differently than traditional expert frameworks.